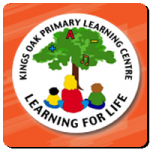 Our various staff professional development programmes provide effective and simple ways for practitioners to support Early Years Foundation Stage, Key Stage 1 and Key Stage 2. 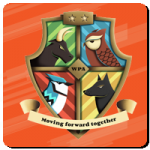 We will ensure that staff are given the confidence and skills to deliver outstanding PE both in the curriculum and as part of extra curricular provision. All training is carefully aligned to the National Curriculum and Ofsted requirements to ensure pupils make outstanding progress in PE and other subject areas. We take great care providing personalised support, teaching lessons with your staff to ensure they become fully confident & competent to teach outstanding PE lessons for your chosen area of the new National Curriculum. 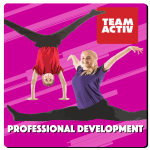 A Team Activ specialist will lead lessons on a weekly basis for a full half term alongside the class teacher to gain valuable skills to aid their professional development. The teacher observes the lessons being delivered and discusses planning with the specialist. At the end of the half term block, the teacher then plans and delivers the last session whilst being observed and supported by the Team Activ teacher. Our Team Activ qualified specialist will lead bespoke training on any area of the new national curriculum including theory and practical ideas for outstanding delivery. This training can be as part of an after school session or as part of a whole day INSEY dependant on requirements.